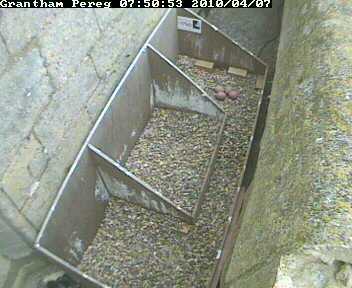 Grantham Peregrine Project: 7th April - 4 eggs! Alan got this snapshot at 0750 this morning. The clutch is now complete and things will be fairly quiet for a month whilst the eggs are incubated.